Sailthru’s HTTP integration with mParticle enables you to send mParticle events and audiences to Sailthru. To get started go to your mParticle console and enable the Sailthru integration. You’ll need to add an Application Specific API Key and Secret, which your Sailthru Customer Success representative will provide to you. Audiences can be synced between mParticle and Sailthru with Audience Subscriptions and Audience Membership Requests. When a new audience is created in mParticle the members of the mParticle audience can be synced to a Sailthru list. The Audience Membership request in mParticle will send Sailthru information about a specific user’s membership of an mParticle Audience. Sailthru will use this to add or remove a user from a matching list in Sailthru. A user attribute change in mParticle will be captured to update custom fields (profile vars) in Sailthru in real time. When a user’s email changes or a new type of ID is added to mParticle that event will be passed to Sailthru. If the email has been changed we will update the user profile in Sailthru while keeping the existing profile history. For example if you added information about a customer to their mParticle profile when an account on a website was created Sailthru would be passed those changes and they would apply to the user account matching the email address. The Sailthru profile vars will then be available to use in communications with the customer or in Audience builder. Note: Audience Builder cannot search within arrays or objects so if you intend to further refine mParticle audiences in Sailthru’s audience builder to pass strings as mParticle attributes. Custom event triggers in mParticle will map directly to a custom event in Sailthru. Sailthru events can be used to kick off a Lifecycle Optimizer flow. As mParticle custom events can be defined by the customer it’s important to understand the data structure of your mParticle events. mParticle event attributes are converted to Sailthru event vars and can be filtered in Lifecycle Optimizer Steps to enable workflows based on the attributes passed. Event vars are transient and only available to the event, if you want to store event attributes on the user profile make sure that you pass those attributes via a user attribute change. When an mParticle defined session starts a custom event is sent to Sailthru as a custom event named mp_session_start. Session start events can be used as entry point for a Lifecycle Optimizer flow in Sailthru or add users to a list. NOTE: This is not the same as a Sailthru session that tracks pageviews, and is not available in Audience Builder. Sailthru will process mParticle session start events with an event name called mp_session_start. When an mParticle defined session starts a custom event is sent to Sailthru as a custom event named mp_session_end. Session start events can be used as entry point for a Lifecycle Optimizer flow in Sailthru or add users to a list. Using mParticle Custom Events to start a Lifecycle Optimizer flow. Custom Events that are passed to Sailthru from mParticle can be used to start a flow in Lifecycle Optimizer. For the full capabilities we recommend you read the full Lifecycle Optimizer documentation which is full of great information. Browse to Lifecycle OPtimizer in your account. 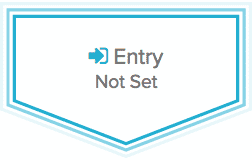 Select an option from the Start this flow when… menu. And choose Event API. For the event name choose the name that matches your custom event in mParticle. Specify the additional options below the menu for the event. For more details, see the Step Glossary. Once you have defined the entry point then you can move onto the next step and choose what to do next. For example if you want to send a transactional email based on a custom mParticle event you can choose the ‘Send Email” option. There are a number of other options to choose from if you want to add/remove the user to a list for example. Any mParticle event attributes can be passed into the email template and included in the email using Zephyr. If you have updated the user profile with user attributes from mParticle’s user attribute change then those will also be available in th email template. The above example uses a custom event, but any event name will work. For example if you want to trigger a flow based on session_start you would use mp_session_start as the event name. Once you’ve used an option you can stop there or continue with a series of other steps, checks or waiting periods. The control is in your hands. You may have already created your mParticle audience in mParticle but now want to further refine the group of users in Sailthru. 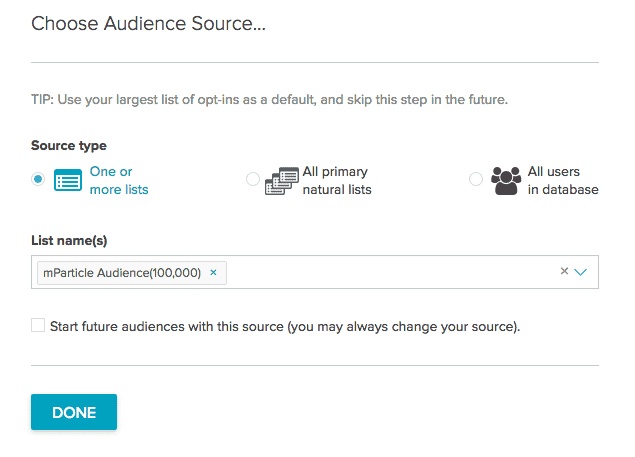 Using Audience Builder you can search for users that meet certain criteria. For example, look for a group of users belonging to a specific mParticle Audience that have not visited the website in 30 days. Browse to Audience Builder and create new audience from all users belonging to a list that you have synced from an mParticle audience. Click done and then on the next screen using the menu on the left click ‘Site Visit” and “Purchased Date, Products”. 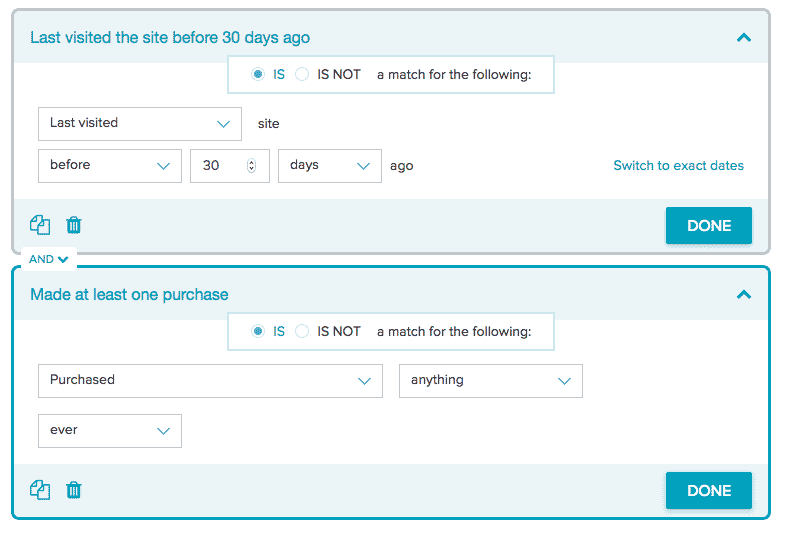 In the forms you can select options to identify those users who have not been back in a while but have previously made a purchase. Armed with this information you could potentially target those users on Facebook as part of a win back campaign by creating a list from audience builder and syncing to Facebook Custom Audiences. That’s just one example, for full capabilities of Audience Builder please read the full documentation.